Is this the Sony Xperia Z2 Compact? Japanese magazine lists mysterious "Sony Xperia A2"
Sony may have only just launched the Xperia Z2, but leaks have already started emerging of what could be the Xperia Z2 Compact. 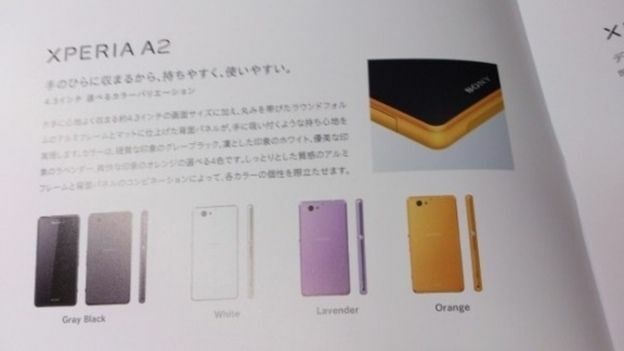 An image has appeared in a Japanese magazine showing an as-yet-unheard-of Sony phone apparently called the Xperia A2. The blog that leaked the image postulates that this could, in fact, be the first sighting of the Sony Xperia Z2 Compact. According to the magazine, the Sony Xperia A2 comes with a 4.3-inch screen with a resolution of 720 pixels by 1,280 pixels. It is also said to come with a 2.2GHz Snapdragon 800 processor, 2GB RAM and 16GB built-in storage. Smaller versions of flagship phones have become a bit of a standard recently, with the likes of the Samsung Galaxy S4 Mini and HTC One Mini becoming popular. However, if these specs are to be believed, then the Xperia Z2 compact won't be as powerful as the earlier Sony Xperia Z1 Compact. As such, we're taking this rumour with a pinch of digital salt. Alternatively, this could just be a brand new mid-level smartphone from Sony that has just been outed. Sony's current flagship, the Sony Xperia Z2, comes with a 1,920 pixel by 1,080 pixel display, a 2.3GHz Snapdragon 801 processor and 3GB RAM.